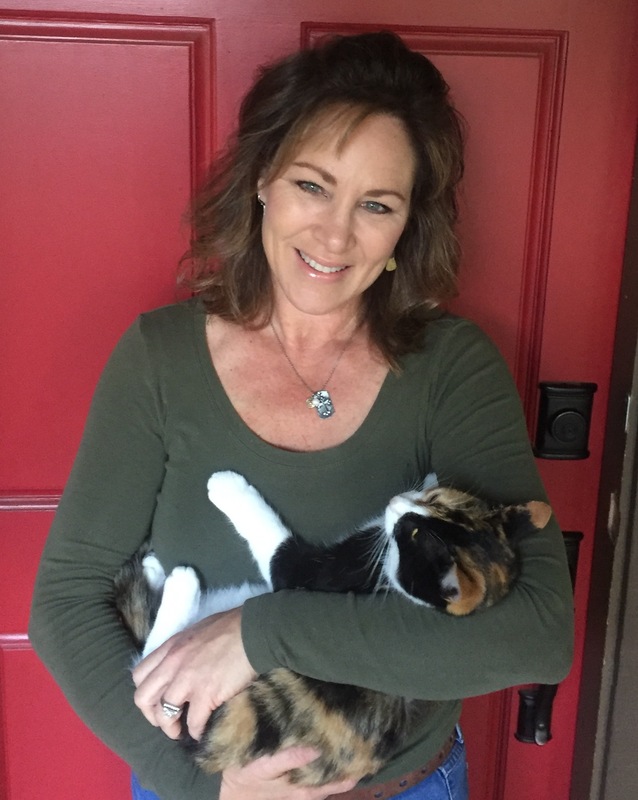 Although new to the veterinary field, Laura brings over 30 years experience in client services and account management to Pacific Crest. Born and raised in Exeter, California, she has deep family roots throughout the valley. When Laura isn't at the clinic, she enjoys traveling with her husband Terry, time with her family, including seven cats and three dogs, as well as supporting and advocating for local military active- duty and veteran organizations. Rachel joined the Pacific Crest team in June 2013. She and her family moved to Exeter from Southern California in 2011. Rachel enjoys spending time at home with her family, her four dogs, and her four cats. 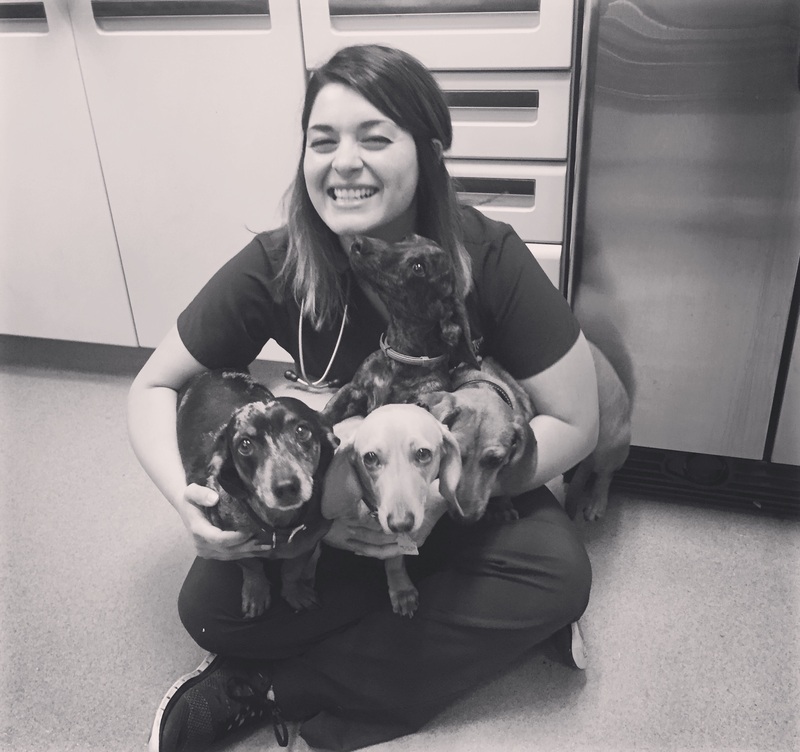 Mandy has been in the veterinary field since 2013 working as a Vet Tech but now works as one of our front staff coordinators. She enjoys spending time with her family, friends, and her doxie Jake. Douglena "Lena" joined our team in 2017, her and her kittens were found on our property nestled under a bush. 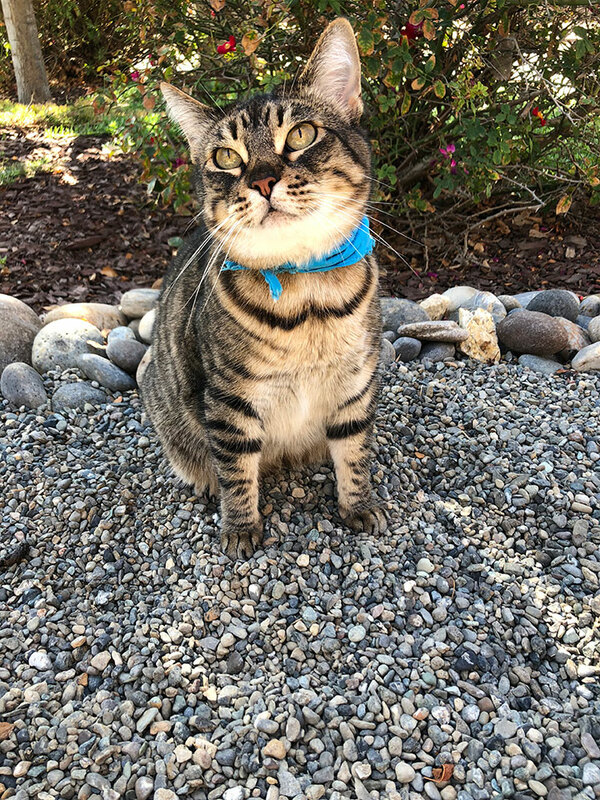 She was affectionately named after Dr. Doug Anez, all kittens were placed in loving homes and Lena has called Pacific Crest her home ever since. She loves playing with the "furry locals" and her toys but above all she LOVES to eat! Kaylee was born and raised in Strathmore California. After graduating from Strathmore high school in 2013, she attended College of the Sequoias and graduated in fall of 2016 with an associates degree in animal science. She has always had a love for animals, especially horses. 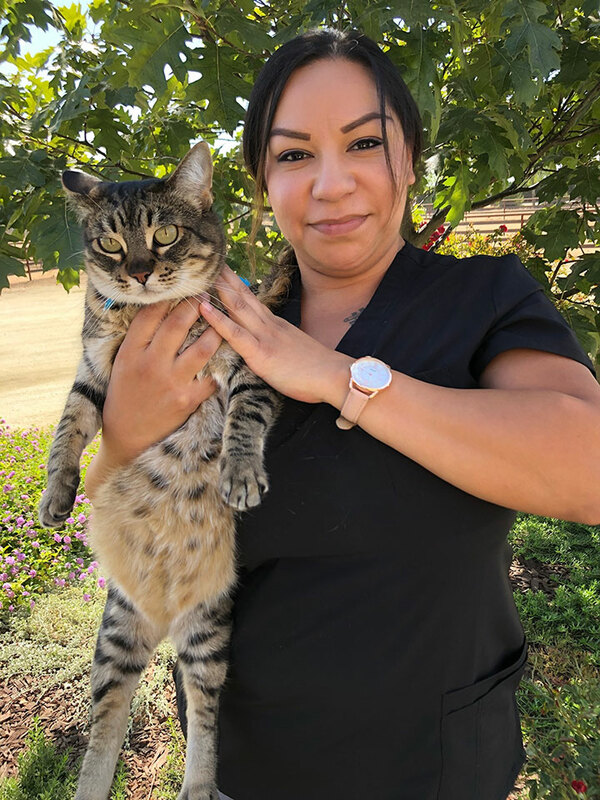 She started working at pacific crest as a vet assistant in August of 2017. In her spare time, she enjoys going on trail rides with her husband, Cole. 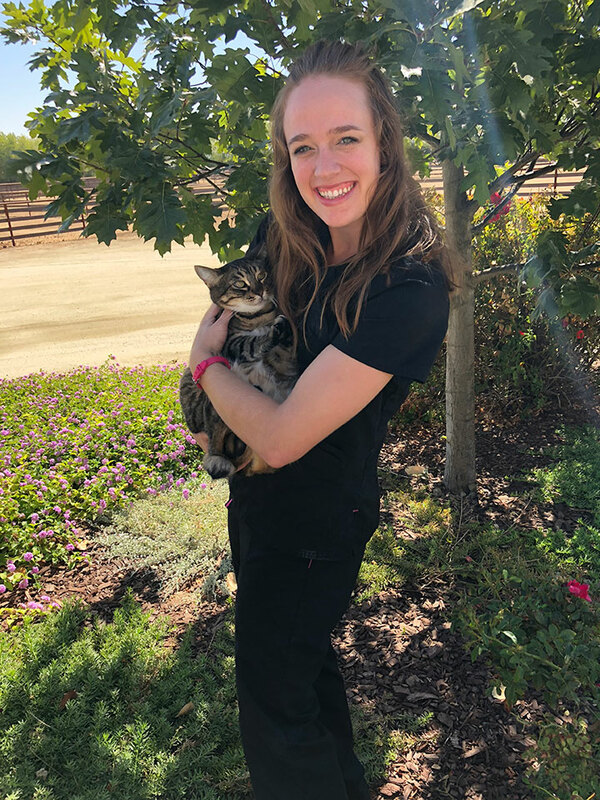 Sarah was born and raised here in Tulare County and got her first job during high school as barn staff with our Equine team! She graduated from Oregon State University in 2016 and has returned to be apart of our Small Animal department. She loves caring for all our patients. You can find her cleaning the fish tanks in our office or hiking in her spare time. Denise was born and raised in Tulare, CA. 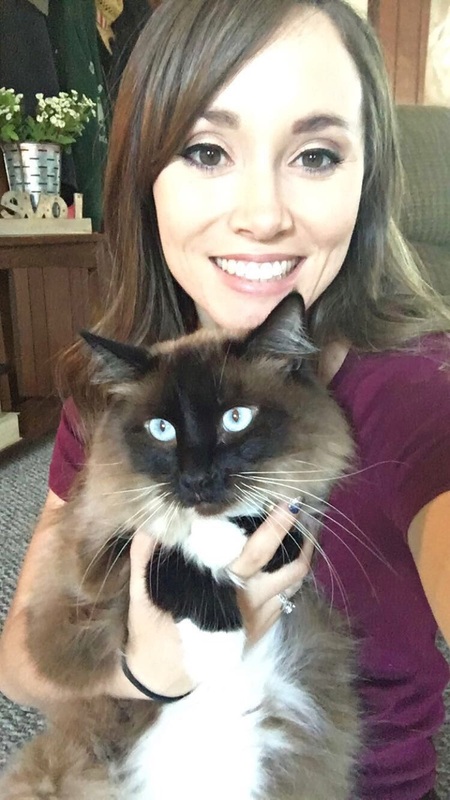 She started her career in the Veterinary field when she was 17. It brings her great joy to love and care for animals. When shes not working she loves spending time with her family and going to the beach.